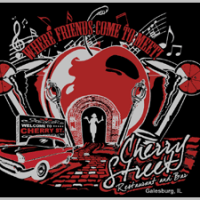 Ownership at Cherry Street Restaurant and Bar has changed hands. Vice President of Operations at Thrushwood Farms, Doug Hankes is now President Hankes. 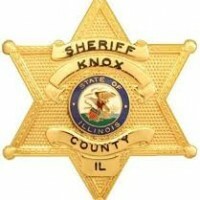 A Washington, Illinois man is dead after falling through ice in Dahinda on Sunday. 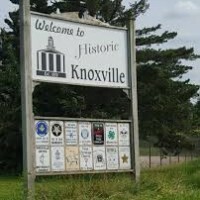 A hot ticket item at the Knoxville city council meeting last night was whether or not to support a utility service line warranty program. Galesburg alderman held discussion last night on an item that will get rid of residency requirements to serve on the city’s boards and commissions. After a long wait for construction to begin, it’s going to be a long wait for construction to end on the East Main Street Underpass. 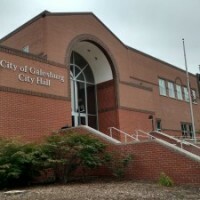 The Galesburg City Council could approve a bid tonight to overhaul the Public Safety Building. The District 205 school board chose the Illinois Association of School Boards to conduct a search for Ralph Grimm’s replacement as Superintendent last night. Two individuals have filed to run as write-in candidates for Galesburg City Treasurer after no one intially filed for the now part-time position. 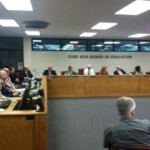 District 205 will get to work in hiring their new superintendent.